Luxuriously appointed treatment rooms and a couples suite with a private aromatic rainfall shower for two..., truth be told, the Mancini Giuffré spa is decadently delightfully, utterly relaxing and thoroughly therapeutic. Skin is cleansed with European specific cleansing movements, exfoliation + extractions are performed to clear clogged pores + extensive congestion. Our 30 min. treatment is a perfect pick me up for better skin tone, texture + clarity. Facial includes a deep cleanse, tone + mask. Refresh, smooth and hydrate. Helps rebuild skins texture+elasticity under the eyes. 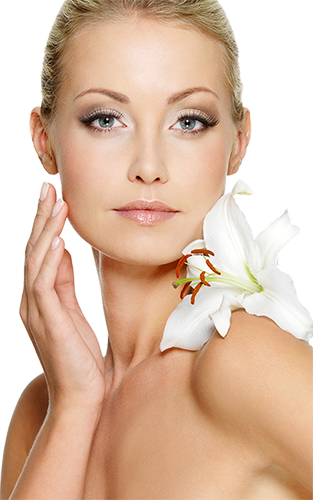 Diminish the appearance of fine lines and reverse the signs of aging. Moisture infused revitalizing treatment for dry and dehydrated skin. Intense deep cleansing and therapeutic care for blemishes, breakouts and acne. Elimination of razor bumps, intense cleansing and deep hydration for his skin. Deep kneading and long swooping strokes to ease muscle tightness (and re-energize the body). An unrivaled therapy for computer geeks and athletes to work out muscle tension, stiffness and spasms. Intense hands on concentration for the head, neck and back. Emerge with a renewed sense of clarity and well being. Gentle strokes help alleviate stress, reduce fatigue and improve circulation. Special massage techniques, essential oils + hot smooth polished lava stones promote physical and spiritual healing. A private treatment room and rainfall showers for the two of you to relax and reconnect. You can each request the massage of your choice while you receive your treatments side-by-side. Firms+smoothes skin by re-elasticing tissues while restoring a radiant glow. Stimulates lymphatic flow to eliminate toxins. Stimulates skin with the detoxifying power of algae which unlocks trapped toxins that have been stored in the tissue. Enjoy your summer glow all year long with our gorgeous spray tan. Ours begin with the purest, smoothest European waxes specially selected for your skin type: a fresh spatula for every dip communicates our impeccable standards of hygiene. Now you can go as bare as you dare confidently and comfortably. Seaweed and sea therapies contain minerals and trace elements that are extremely nutritive, restorative and healing to the human body.